Traveling opens up a whole world of possibilities, but each experience comes with new challenges. Learning from other travelers’ experience provides one of the best ways to overcome those challenges. That’s one reason why travel blogs are so popular, but the sheer number of travel blogs can make it hard to know who to trust, which is why we put together this list of the best travel bloggers to follow across a range of backgrounds and travel styles. Want to know the ins and outs of backpacking across Europe? Somebody has written about it. Interested in cycle touring? Someone has a blog about it. Interested in turning your truck into a home on wheels and traveling? *Me slowly raising my hand* Someone has a blog about it. Basically, anything you want to do has already been done, and it can be a HUGE resource for you. While Instagram and social media may have stolen the limelight, travel blogging is still the best place to get real, accurate, and insightful information about your travels. 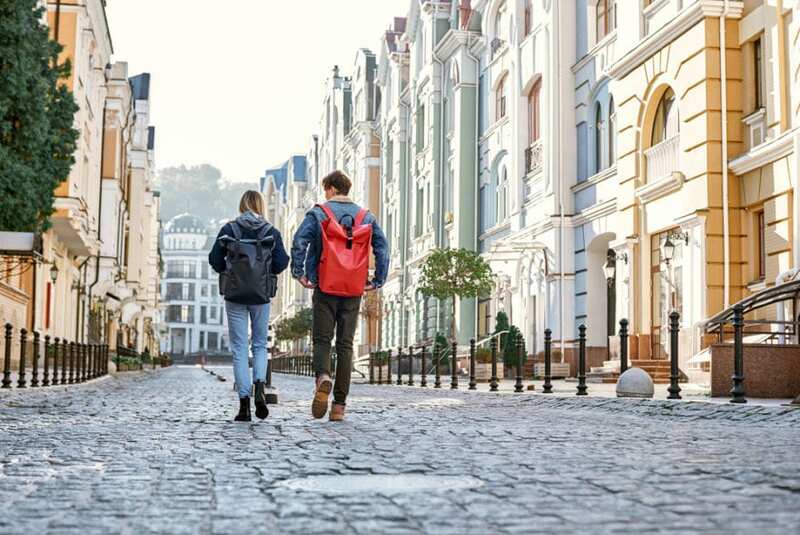 By following a few of these top travel blogs, you can learn valuable lessons about the excursion you’re preparing to make. This is one of my number one tips for planning your own big travel excursions. I followed so many bloggers before I broke away from the desk life and started traveling… And you better believe I was following a whole bunch of people driving across South America before ultimately setting out to do the same a few years later. Even though I’m a full-time traveler, I still follow other travel bloggers because they continue to inform and inspire me, not just in my profession as a blogger but also as a traveler as well. Even when you don’t have a trip in the planning stages, you can still learn a lot from travel bloggers — how they budget, how they pack, and how they stay motivated. Sometimes all you need is a little inspiration, and travel bloggers share that by the truckload. With so many great travel blogs out there, no matter what you want to do someone has posted valuable insights about it. All this great content comes with a downside though — sometimes you may have trouble finding the perfect blog to read. That’s why we’ve put together this list of travel bloggers to follow if you aren’t already, while also highlighting a wide range of different niches, lifestyles, backgrounds, and travel perspectives. Their blogs give you the perfect place to start reading, and a kickoff point for making your own travel plans into a reality. Uncornered Market is run by Dan and Audry, a husband and wife storytelling team. Their blog’s tagline reads, “travel wide, live deep,” and everything that they do lives up to that motto. The heart of blogging comes from storytelling, and Uncornered Market shares incredible tales focusing on cultural discovery, sustainable travel practices and tourism as a force for good. One of the best things about Dan and Audry’s blog comes from how much they focus on the strangers they interact with. They emphasize embracing the cultures and customs of the people they meet, without judgment or reservation — showing just how amazing people can be around the world. In addition to all of this, Dan and Audry take and share amazing photographs that will have you ready to pack your bags. Do you love adventure? Do you have a sweet tooth? If you answered yes to both of these questions, then you’ll love Brittany Kulick’s blog, the Sweet Wanderlust. From bungee jumping to Scuba diving, she has a hunger for adventure — and for awesome milkshakes and ice cream. She’s traveled to over 50 countries including Italy, Israel and New Zealand and sampled delicious sweets in all of them. When it comes to getting recommendations on great adventures paired with tasty desserts, and planning how to have them both, let the Sweet Wanderlust be your guide. While I’ve never written specifically about desserts, I kinda feel like that’s my jam too… There’s nothing I love more than finding great coffee and a sweet treat in pretty much every place I visit. A lot of people might think that any kind of disability would keep wanderlust in check, but that’s not the case for Ed Rex. He left a corporate job in 2011, embarked on a trip around the world and hasn’t stopped traveling since then. He started his blog, Rexy Edventures to chronicle his adventures traveling the world, and to help others do the same. I love seeing when people defy the odds, it just serves as proof that travel is possible for everyone if they want it. It basically kicks every bad excuse to the curb. I love that Rex shares openly about the challenges his deafness can create during his travels, but he also works hard to inspire other deaf people to pack a bag and go see the world. He shares tons of travel tips for everyone on adventure travel, luxury budget travel, and even unexpected travel. If you want advice on how to experience luxury travel on a budget, Rexy Edventures has plenty to share with you. Adventurous Kate is one of the early generations of travel bloggers and unlike most of the other big name travel bloggers, she has maintained her authenticity and speaks with a great deal of passion and insight about places rather than reverting to the superficial content mill approach of other big-name bloggers. Don’t let her outdated website design fool you, she’s a total pro in terms of her travel advice. Even if I’m not her target demographic of solo female travel, I still get a lot out of what she writes about different travel destinations, how she covers them, and I lend a lot of credence to what she says, rather than taking it with a grain of salt like most other big sites. Kate documents her journeys ranging from Europe and Southeast Asia to more off the beaten path destinations like Antarctica or Guyana. She’s definitely one of the leading voices on solo female travel with a wide range of experience and perspective to back up what she says. Funnily, we were both studying abroad in Florence, Italy during 2014 too, woop, woop! I love Florence. Not every traveler lives on the road, near jagged peaks or next to sandy beaches. 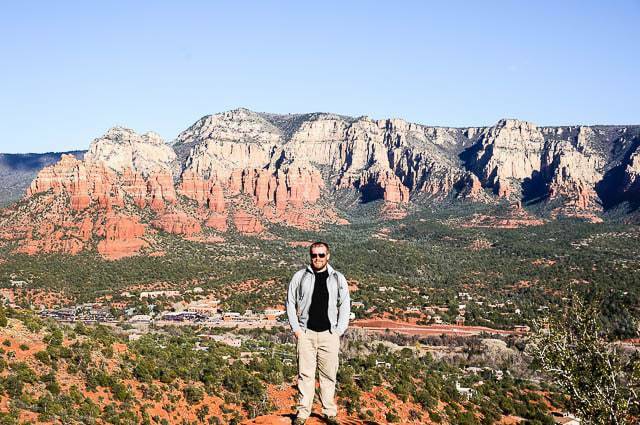 If you want to travel without leaving your job, home or family behind, check out Kovas Palubinskas’s Midwest Basecamp, even if it isn’t your “typical” travel blog. He chronicles many local adventures (often of the outdoor variety) in the Midwest and publishes great reviews of useful outdoor gear. In addition to the adventures he takes in his own neck of the woods, he also shares incredible information about bigger trips to places like the backcountry of Idaho, Utah wilderness, and most recently Iceland’s Laugavegur Trail. If you don’t want to give up your job or time with your family, but still want to travel and have incredible adventures, Kovas can help you do it. He’s a great blogger to follow if you’re just starting out with adventure or travel lifestyle and want to figure out some early steps to take. The whole “outdoor blogger” thing was where I got my start, so I love to see what others are doing in the space. 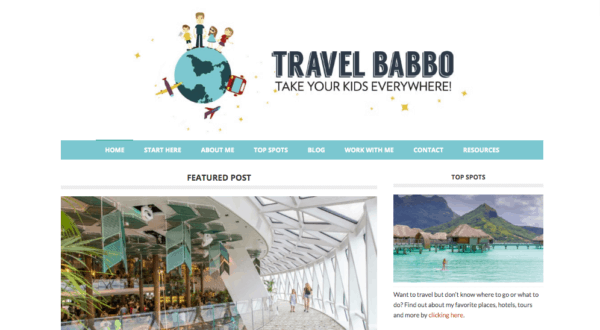 Eric Stoen is the “Babbo” (dad) behind the Travel Babbo website, a family travel blog that details experiences around the world with their three kids in tow. You wouldn’t believe how many people email me saying how awesome what I’m doing is, but that they have kids so they can’t travel. Travel Babbo blows that excuse out of the water, and that’s one reason I love it. 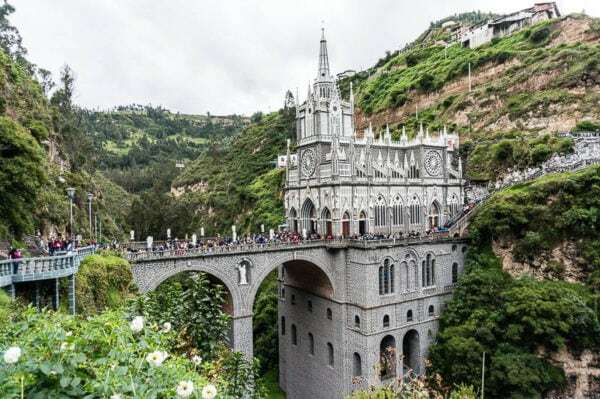 The other is just the solid and practical advice they write about all their destinations around the world, it goes beyond the standard European destinations to plenty of off the beaten path areas like the Amazon Rainforest, Ecuador, or even Colombia — and with kids, no less! While plenty of their advice is kid-centric, it also just has solid travel info about all different aspects of travel and the places they visit. Elle Burne travels the world on her own with the intention of eventually seeing every country in the world. She’s not only a travel writer but also a midwife, a profession which has given her lots of opportunities to engage her wanderlust. From South Africa to Finland, Egypt to Indonesia, Travelling the World Solo showcases Elle’s travels in almost 50 countries. Elle shows that despite traveling solo, she’s not always alone. She also shares incredible photos, advice, and tips for anyone else who enjoys world travel, whether they want to do it solo or with partners. Elle also dispels some of the worries that women may have about traveling alone and gives great advice on how to overcome the fears that come with solo travel. Gary Leff’s blog, View from the Wing, differs from the other on this list. Instead of detailing places he visits, cool adventures, or exotic locales, Gary shares insights into travel hacking, deals he’s discovered and airline miles rewards opportunities. Gary admits that he has a miles and reward points obsession and loves to share his knowledge of how airlines operate to help readers score the best possible deals on airfare. If you want to know how you can use rewards programs and credit cards to travel less expensively or find tips and tricks for saving money on hotel stays and airfare, you should definitely put View from the Wing on your list of sites to check out. While I’m not obsessed with points, I am a big fan, and getting into travel hacking has been a huge source of savings for me as I travel the world. 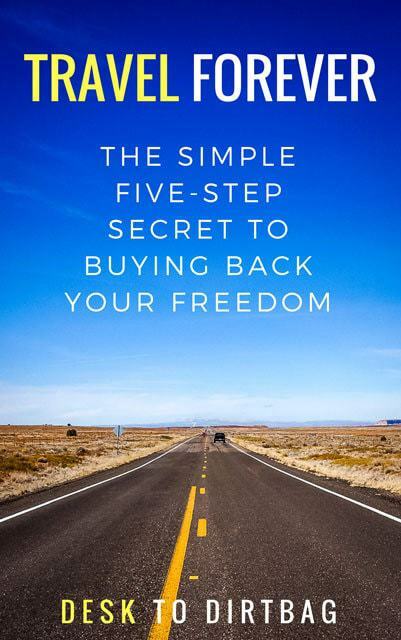 It is also my number one tip to those who want to travel more and travel more affordably and something I wrote about in my book! Matt Karsten is the man behind Expert Vagabond, an incredible adventure travel blog that details his wide-ranging travel experiences that tilt toward the adventurous side, something I’m fond of myself. You’ll find stories of him hitchhiking across America (even on planes! ), going face-to-face with an active volcano, hiking in the Darien Gap, or many other tales. Beyond the adventure travel though, he also has lots of solid, practical advice for those who are interested in the traditional backpacking travel. Not only that but he is a great photographer who shares lots of tips about improving your travel photography and getting great shots. Believe it or not, travel has its problems too. One of the great things about Oneika’s blog is that she speaks with authority when it comes to travel, politics and where they intersect. As a woman of color, she’s dealt with her share of prejudice during her global adventures and writes about it thoughtfully. Using her own experiences, she works to put travel within the reach of marginalized groups, using her experience and incredibly useful advice. She’s traveled to over 100 countries, climbed active volcanoes, caught piranhas in the Amazon, and bungee jumped over the Zambezi River. Oneika is one of the foremost experts in the world of travel and while she works to encourage and empower women and minorities to travel, she’s an amazing inspiration and great resource to everyone interested in travel. I’ll be honest, I first heard about Oneika only recently when she gave a keynote presentation at TravelCon Austin and found her to talk to be incredible, so I promptly looked her up and started following her adventures. Highly recommended! Travels of Adam is a blog about the travels of, you guessed it, Adam! This is another one of the old school travel blogs, started way back in 2009, and which features his honest and insightful writing across a wide range of destinations. Adam is a gay travel blogger, but he writes across a wide spectrum of topics, so you’ll find everything he writes helpful in one way or another. Travel tips & resources, great travel stories, and even personal stories about his life all make an appearance in the blog in clever, fun to read posts. I love his hipster travel guides, too. I had the chance to meet Adam at TravelCon, which is just a great opportunity to put faces to names and make real-life connections… Many of us find those sorts of connections from our careers, but blogging can be a more solitary endeavor. Since 1999 Derek has continuously traveled the world. Over the years he has become an expert in backpacking, budget travel, and helping others get started traveling. He’s one of the OG’s in the travel blogging world so to speak. If you plan on working while you travel, Derek can definitely help. When he got started, he scrounged for jobs, earned money whenever he could and found a way to keep on traveling. This has helped him visit over 100 countries and start his own business, Wandering Earl Tours. 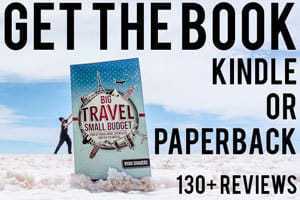 Though he doesn’t have to hunt for jobs the way he used to, his insights will help you figure out how you can afford to travel, and his current travels will show you how to get the most mileage and best possible experiences for your dollar. Derek/Earl and I recently crossed paths when he was in Medellin, and I love his outlook on travel and visiting off the beaten path sorts of places. When I saw that he traveled to Yemen (like me), I knew he was a cool guy to follow, haha. Born in the Czech Republic and currently living in Scotland, Sabina has a huge following online. If you want to travel in and around Europe, you should check out Sabina’s blog posts — she has a huge amount of experience and loves to share what she’s learned with her readers. In addition to travel, she loves food, fashion and — most importantly — an eco-friendly lifestyle. Sabina wants to do everything she can to protect the planet and leads by example. Her content covers responsible travel, sustainable fashion and even cool vegan recipes from across the globe. All of this information comes in fun to read posts that you’ll love reading and amazing photos from her travels. Nick and Dariece are the Canadian travel blogging couple behind the website Goats on the Road and they are among my favorite travel blogging couples… They write about the expat lifestyle, house sitting, building a location independent life, and so much more that really resonates with me. Not only that, but they travel to some pretty cool places and do some pretty cool things as well. 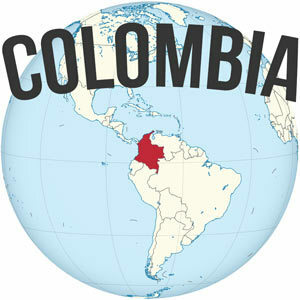 Even though we’ve never crossed paths, it seems like we’ve covered a lot of the same ground as we both crisscrossed through Latin America, including Colombia. Their curious website name stems from the fact that they always seem to see goats on the road wherever they travel, which is pretty true. Of course, this list doesn’t have every travel blog that you should read — you’ll find hundreds, if not thousands more online. Did we miss your favorite travel blog? Be sure to sound off in the comments below! In my opinion, these travel bloggers represent some of the best storytelling and information for a wide range of readers interested in different aspects of travel and adventure. Use these websites as a kicking off point for your own exploration, and let these bloggers’ stories entertain, educate, and ultimately inspire you to pack your bags for adventures of your own. Who knows, before long you may write stories of your own to help other burgeoning travelers. For me personally, starting a travel blog was one of the best life decisions I ever made. Not only did it help me find clarity and accountability with my travel plans and priorities, but it also turned into a lucrative source of income that at first helped my travel fund stretch a little further and then ultimately turned into my main source of income, fully funding my epic travel adventures year after year. 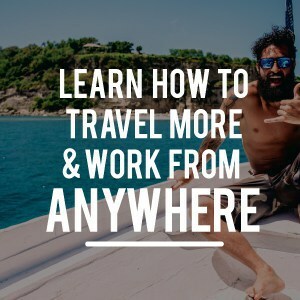 If you are at all interested in starting a travel blog, be sure to join my free course about how to turn your travel passion into a profitable profession. No, it isn’t easy, and anyone who tells you that is lying, but it is something most definitely worth pursuing. Sign up to get the free D2D Travel Blog Blueprint course to learn more about what I wish I would have known when I was just getting started. 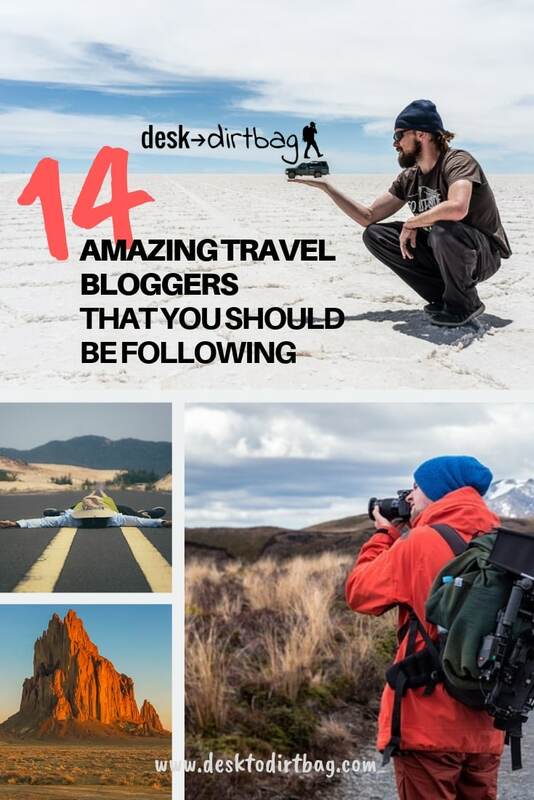 Did you enjoy this post about the top travel bloggers to follow? Give it a quick share on Pinterest, Facebook, or Twitter. Thanks!